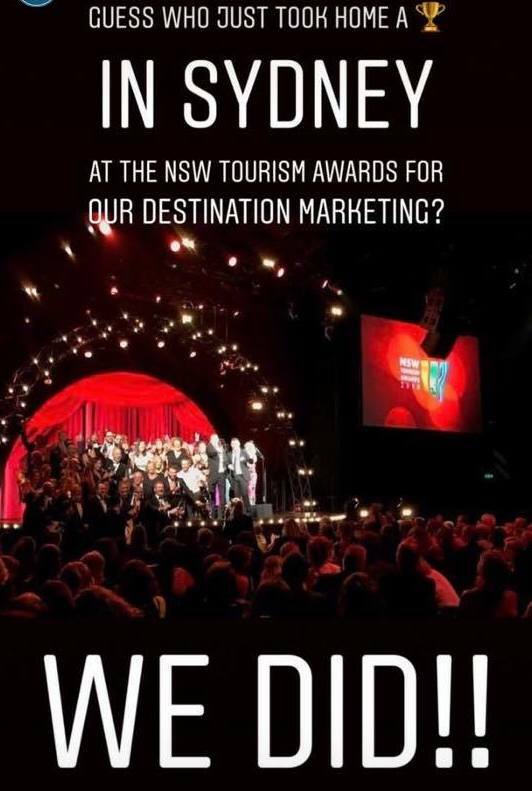 Wow - we are very proud that the marketing campaign we created and implemented for the small rural destination Deniliquin, NSW won bronze for Destination Marketing at the 2018 NSW Tourism Awards last night!! Congratulations to Edward River Council, and thank you for making the award submission! Tilma Group worked closely with Council to secure funding for the campaign, develop it, and manage its implementation. Edward River Council was innovative in sourcing funding for this campaign with a business levy which was then doubled with a Destination NSW grant. See a synopsis of the results of the first year of this two-year campaign. Tilma Group also helped write NSW Tourism Awards submissions for two clients who won silver in their categories at the NSW Tourism Awards, a significant achievement for small regional operators at a state level. Heifer Station Wines won silver in the Tourism Wineries, Distilleries and Breweries category in their first award submission, and longtime client, Food I Am, won silver in the Excellence in Food Tourism category, a step up from their previous bronze award.